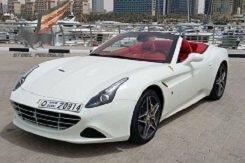 Renting a Ferrari in Dubai is the best choice of a luxury car for such a luxurious city. The car is beautiful externally and inside. The interior is comfortable and stylish, in the Ferrari chair you feel like a racer. Excellent aerodynamics and a powerful engine of about 600 hp. 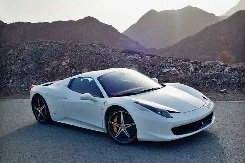 accelerate the car to hundreds in 4 seconds. With a roadster (hinged roof), you can get a lot of thrills on the highway. 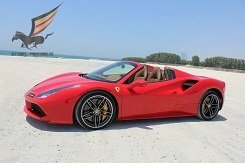 Safety in the Ferrari: Californiya, Spider, 458 and 488 GTB at a high level. There are more than 12 airbags, carbon-ceramic brakes from Brembo and increased maneuverability. 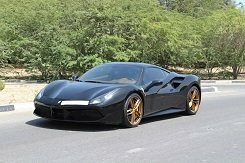 xpressive and even sometimes aggressive appearance, comfortable sports seats, a sensitive steering wheel and a rigid whipped suspension with a powerful turbocharged engine - all this makes the Ferrari model the best supercar in its class.